Mark Zerrudo currently attends College of Marin as a Sociology major and is planning on transferring to UC Davis in the fall. While studying, Mark has taken on the role as head Taekwondo instructor at Marinwood Community Center while working on campus as a Student Ambassador. 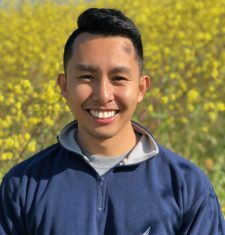 As a first generation college student, he hopes to continue working towards his degree, eventually working in the university setting to create culturally relevant college initiatives and educational policy that help underrepresented students bridge achievement and opportunity gaps.